To kick start 2018, the Season and Taste senior team came together on an early Monday morning with the help of copious coffee and cake to discuss future developments and exchange ideas. 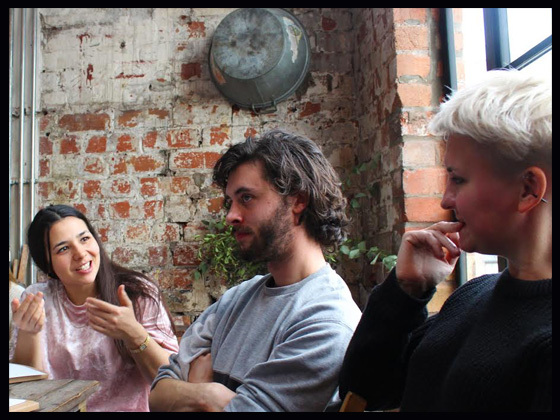 A mixture of both familiar faces and newer members were invited to openly discuss new exciting plans for the company and consider previous steps taken to reach the goals set out and achieved so far. 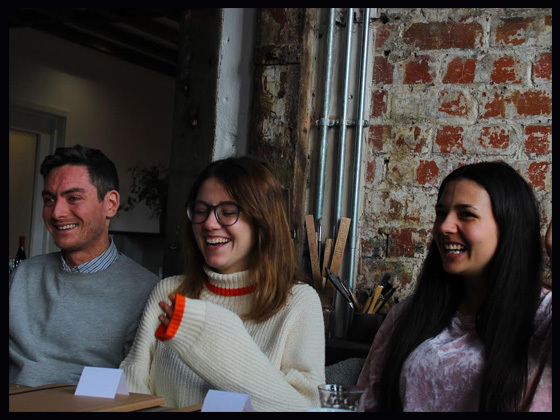 To begin with, Kieran and Imogen gave us all a little background knowledge of themselves; from growing up surrounded by their respective family run businesses, leading up to how they met and eventually how they opened up their first restaurant Bravas! They spoke about their mutual love for travelling and trying new food, which along with their knowledge of business kick started their on-going love affair with the world of hospitality. 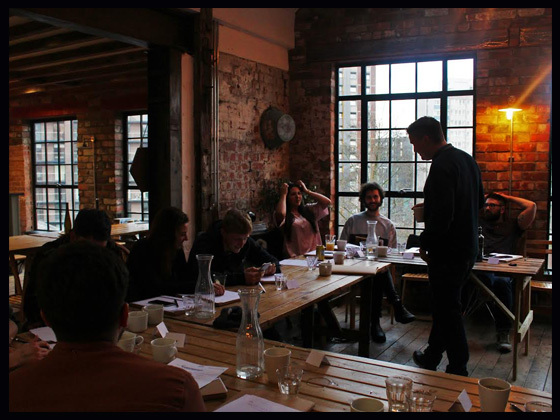 We then moved onto topics such as issues the company may face, company objectives and potential future goals that we as a company could aspire to reach. Of course, we paused for a lunch break to indulge in a few glasses of Bravas’ exceptional wines and ate even better food prepared by Imogen (with the helpful assistance of baby Winston Waite!). 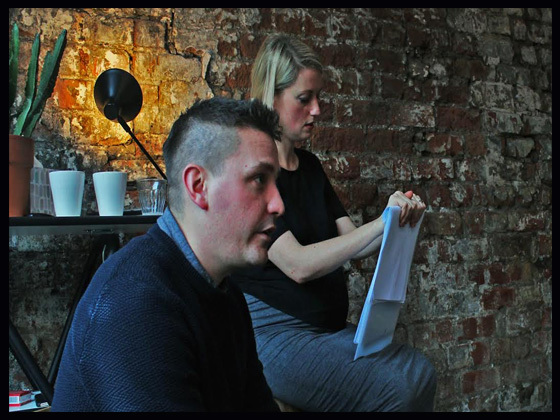 Before the more formal part of the day came to an end we moved onto a central part of the company ethos that Kieran and Imogen feel very strongly about, which is the importance of giving back to the community. 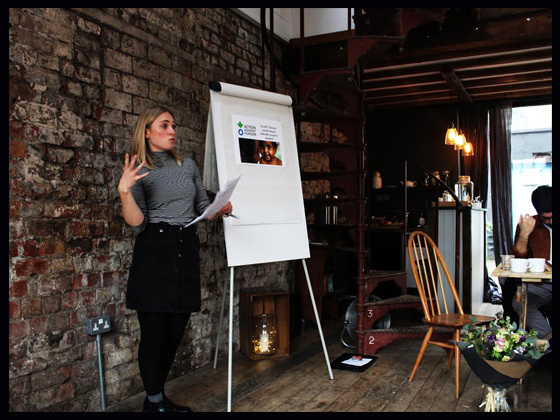 We spoke about previous charities that we worked alongside with such as Médecins Sans Frontières, Penny Brohn UK and the charity we currently support; Action Against Hunger. Imogen and Kieran wanted to hear suggestions that any of us may have for ways that we can give back to the community, and any charities that we feel strongly for and would like to support in the future. The day allowed us to all have our individual inputs and ideas shared amongst team members that span over the different sites, which is a very pivotal part to the development of the company, as it involves all the people within it, bringing us all a little closer. After a day filled with brainstorming, teambuilding activities and a few laughs shared amongst friends, we thought it fitting to end our day’s work at the pub over a few beers – all in the spirit of hospitality!